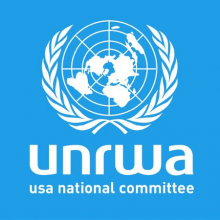 UNRWA USA is an independent 501c3 nonprofit that supports the humanitarian and human development work of UNRWA (the United Nations Relief and Works Agency for Palestine Refugees) through fundraising, education, and advocacy. UNRWA delivers direct humanitarian aid and human development to over 5 million Palestinian refugees registered with the Agency and living in its 5 fields of operation: the West Bank, Gaza, Lebanon, Syria, and Jordan. Of these 5 million refugees, over 1.4 million live in 58 recognized refugee camps. UNRWA provides basic services within the camps, which are often inaccessible to Palestinian refugees because of remoteness from urban centers, financial hardship, restrictions on movement, and legal restrictions by host countries. UNRWA believes that all people have a right to a life of dignity, freedom, and hope. Their services help to uphold Palestine refugees’ rights to an education, healthcare, shelter, and protection. UNRWA USA aims to promote a life of dignity and human development for Palestine refugees by informing the American public about UNRWA’s work and generating support for its programs in the Gaza Strip, the West Bank including East Jerusalem, Syria, Lebanon, and Jordan. Join FMEP in supporting the work of UNRWA USA by making a charitable contribution today.